Tooheys Darling Pale Ale - media release rewrite. - AoaT. Tooheys Darling Pale Ale – media release rewrite. 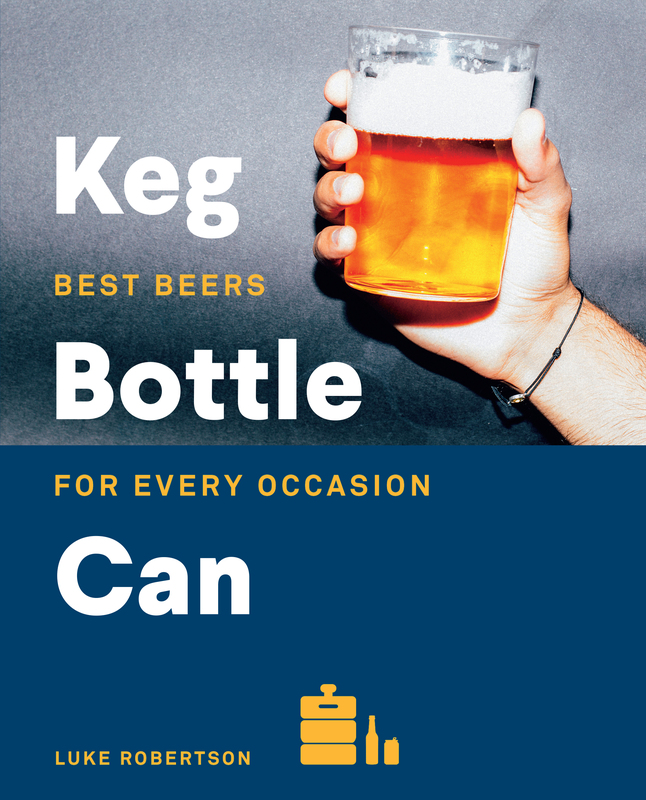 Last week I posted a snark filled “Press Release” parodying those from by major breweries. 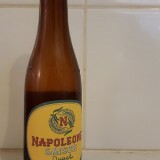 It was partly inspired by this clunker of a press release where Tooheys described their own beer as “non-challenging” – something that doesn’t really inspire anyone to drink a beer. After listening to a discussion on Radio Brews News on the beer (which indirectly touched on my blog post), I thought it would be an interesting exercise to write a press release for it that I don’t take issue with. I only really have an issue with the marketing around these launches. It’s the “not for the serious heads, because they just want crazy beers” comments or “we made this approachable, and non-challenging” rhetoric. So I made a few tweaks to their release. I don’t know if I would have the same reaction reading my version that I did when reading theirs but I do think this is more welcoming, less alienating and more engaging for people like me, while still maintaining the core message. The intro, quotes and historical/facts are unchanged. Everything else is re-worded. For the record, I’m not sure what I’ve achieved or proven doing this… but it was fun (for me at least) to try none-the-less. 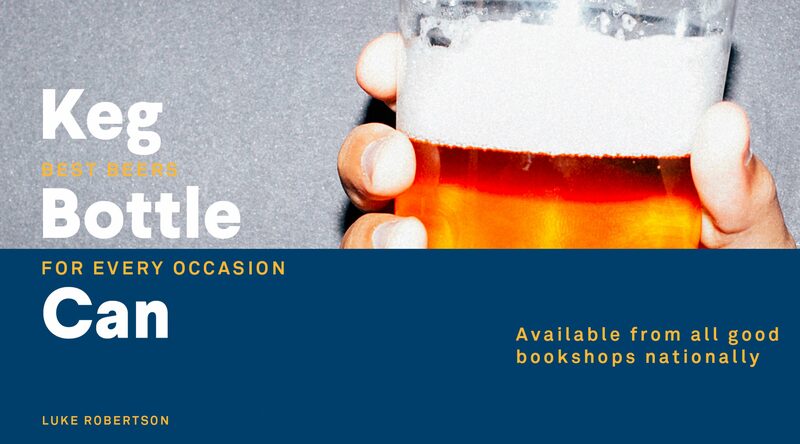 There’s a new beer at the bar – Tooheys Darling Pale Ale – the latest offering from Tooheys, the iconic beer brand which has proudly produced beers for NSW and southern Queensland since 1869 – over 145 years. As the beer market evolves, drinkers are more interested than ever in exploring flavours and Tooheys have filled a gap in their range with the addition of the new Darling Pale Ale. The Darling Pale Ale is filling that gap by providing an easy drinking classic pale ale, suitable for sharing around the BBQ or the footy, but with enough aroma and flavour to satisfy people looking for a beer with a bit more complexity. It’s a beer that welcomes all drinkers with aromas of pine and citrus from a mixture of Willamette, Galaxy and Aramillo hops. It also provides balance with a decent malt backbone that any beer drinker will appreciate. Additionally it gave the Tooheys brewery team a chance to experiment and formulate a completely new recipe and add diversity to their existing lineup. Tanya Marler, Brand Director at Lion believes this launch is an exciting step for the brand and will be well-received by drinkers. “In 2014 there was a massive 18.8 per cent growth by volume in pale ale. Our new offering shows that we are proud of our heritage, but also want to remain relevant for today’s modern beer drinker. “It’s also nice for us to be able to pay homage to the Tooheys brothers and their Darling Brewery in this new brew. 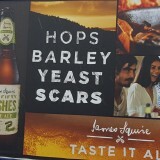 They came to Sydney to have a go at brewing and took a punt on the Darling Brewery’s success. Almost 150 years on, it certainly paid off. “We are very excited about the direction we are taking with Tooheys but we haven’t forgotten our inspired origin. All of our packaging now carries the signature of the Tooheys brothers, which will ensure their legacy lives on,” said Marler. 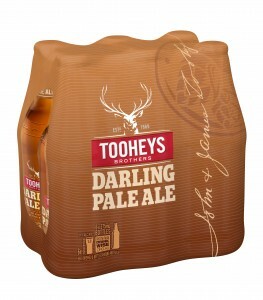 The launch of the Tooheys Darling Pale Ale coincides with a refreshed new look to the entire Tooheys range. The design celebrates the Tooheys heritage, featuring the Tooheys Brothers John and James Toohey, and reflects their established passion for quality in a fresh, modern way. The Tooheys Darling Pale Ale is named after the first Tooheys, ‘Darling Brewery’, which was located in Sydney’s Darling Harbour. The brewery was purchased in 1872 by John Thomas Toohey (an Irish immigrant) and James Matthew Toohey who moved to Sydney in the 1860s after running pubs in Melbourne to brew their first beer — Tooheys Black Old Ale. Tooheys Darling Pale Ale is available now in 375ml bottles, six-pack, 24-pack cartons across NSW and southern Queensland, and in selected bars.